Solbiate Olona (VA), 20th October 2016. Today, the 13th Plenary Conference of NRDC-ITA took place at “Ugo Mara” barracks, under lead of the Italian Defence General Staff. 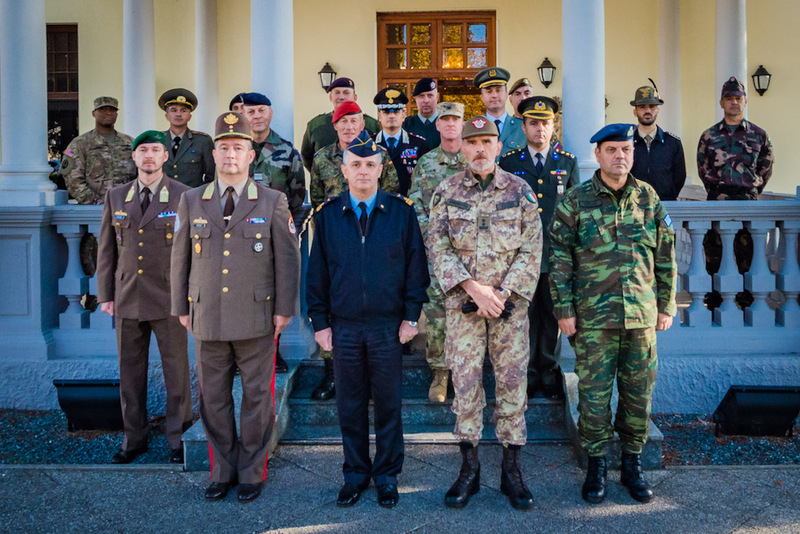 During the meeting, guests from the 12 Troops Contributing Nations to NRDC-ITA met to check the current structure and functions of the HQ, to provide “fine tuning” changes, in line with doctrinal evolution and lessons learned that could add or amend tasks and procedures. This edition of the event takes place during the Joint Task Force HQ (JTFHQ) second consecutive year of stand-by period, taking into consideration that NRDC-ITA will assume role as enhanced NATO Response Force (eNRF) Land Component Command (LCC) HQ in 2018. To achieve the Joint Command and Control Capability (Deployable), the NRDC-ITA 3-pillars structure (Operations, Logistics, Influence) was designed to cope with the stand-by period phase as JTFHQ, retaining at the same time the flexibility to ensure the transition to LCC or Corps role as required.